The ArcelorMittal Gent site includes a large administration building and the integrated mill. A short drive away is the Metal Structures Centre (MSC) which houses part of ArcelorMittal’s Global R&D division. In order to showcase new ArcelorMittal steels and solutions, the site has stepped-up a project to use ArcelorMittal’s innovative products in a more eye-catching way. Product placement started more than five years ago when the new MSC building was constructed. The facility is used to develop and test new steels, highly efficient coatings, revolutionary connecting techniques and futuristic applications for steel. Read the dedicated article here. 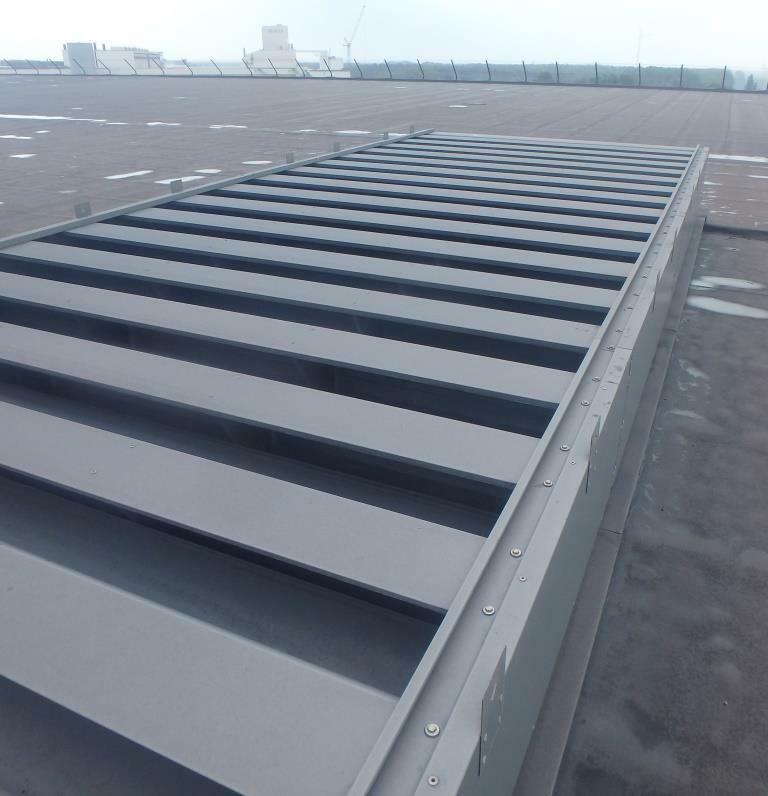 Magnelis® has also been utilised on the roof of the new galvanisation line at ArcelorMittal Gent. The new steel deck roof consists of plates which are coated in Magnelis® ZM310 and then placed on the top of the building. Additional layers of insulation and waterproofing membranes are added to make the roof completely watertight. Magnelis® coated steel has been used to manufacture new lighting poles which were put in place throughout the plant two years ago. A new Magnelis® ventilation grille was also installed above the hot rolling mill. This environment is extremely aggressive. The Magnelis® grilles replace aluminium versions which had degraded significantly in the harsh atmosphere. The framework of a new building in the mill has been coated in Magnelis® to ensure a long service life. As Magnelis® self-heals on cut edges, it was not necessary to add corrosion protection to fixings, enabling the building to be constructed in record time. And further improvements will come soon because the use of ArcelorMittal products in the Ghent mill is set to continue.